A Fox & A Bird. Home / Stickers / A Fox & A Bird. Our Talent Show product this month, comes all the way from the Netherlands! This one is extra close to my heart because my Grandpop was born here. How cute are these? I have a friend who adores all things bird related so I couldn’t pass this one up when I found them. 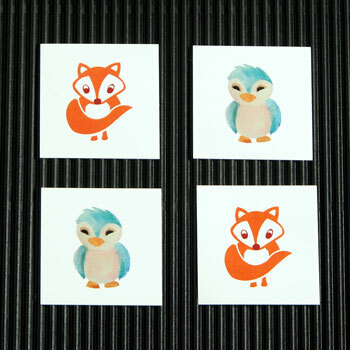 Carolien, the owner/creator of Grafiquelien, sells all her hand designed stationery and sticker items through Etsy. This is where I also found her adorable fox and bird stickers. They were so beautifully packaged, I could have done a whole post just on the packaging! Grafiquelien’s paper products are eco friendly and made using Carolien’s own illustrations which I love. 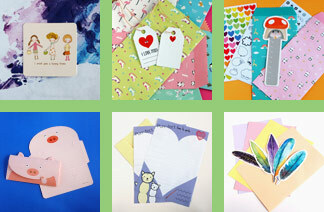 From stickers to greeting cards, printed baby clothing, notepads and gift tags. You can find many gorgeous Grafiquelien creations to purchase via any of the following pages. If you love these as much as I do, pop over to our shop subscription page and sign up for your first sticker and stationery subscription pack. Only a few days left until these little sweeties are posted out. Where Can I Buy Scratch & Sniff Stickers in Australia? Mockeri – Our September Showcase!